The ESV Daily Office for May 26, 2015 is from Luke 15. 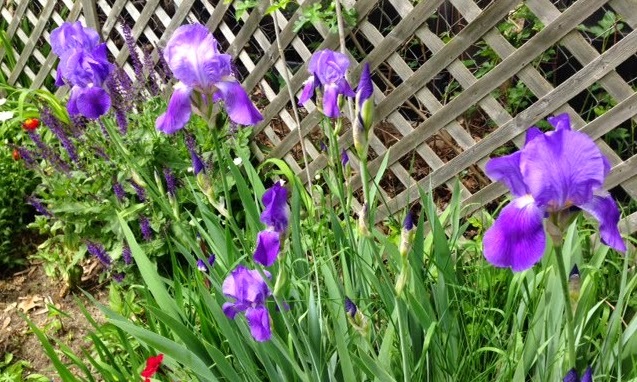 In the picture is my favorite color of Irises in my back yard. I go out every day and smell them for as long as they can last. What happens in that moment is a feeling of profound infinity that began in my early childhood at Schappville, IL in the 1950’s where my great grandmother Ida Winter planted them. Somehow she is still present when I smell those Irises, along with memories of all her children and grandchildren and great grandchildren beyond. 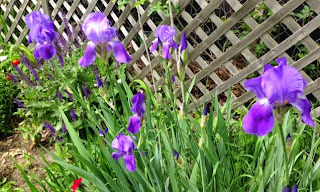 The days of Irises are short and passing quickly, but their memory and presence in the moment reveal the nature of God in the unity of love. So is the gospel of Jesus in our parable today. Leaving behind ninety-nine sheep in the countryside in order to find a lost lamb might not be the smartest move. Having nine silver coins is acceptable enough, if only one coin is missing away. The Irises will fade away from my yard soon enough, like so many things in life. But, I will tell you this. God has not forgotten any of them. And, when Ida Winter suddenly appears in my memory for a moment, even in the darkness of time and seasons yet to come, the Irises of infinity are there, and I can smell it all again by grace!